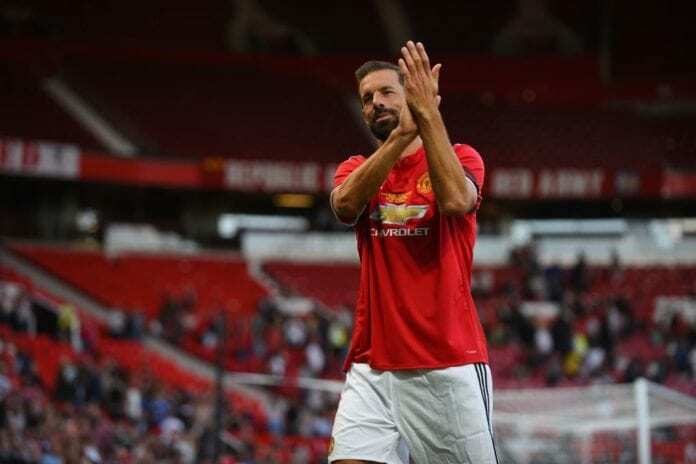 Ruud van Nistelrooy has spent 5 years on Old Trafford from 2001 to 2006. He joined Manchester United in a €19 million transfer deal from PSV Eindhoven. Van Nistelrooy played 150 Premier League games and scored 95 goals. He made 219 appearances for United overall, netting 150 times. There are many things that connect him to Fulham during his spell in England. The Dutchman made his Premier League debut against the Cottagers on August 12, 2001. It was a game to remember and finished 3-2 in favor of Manchester United. Ruud Van Nistelrooy scored two goals and turned the game around for United. He was the Man of the Match on his very first game on Old Trafford, which was quite an introduction. Louis Saha scored both of Fulham’s goals. The Frenchman later in his career spent four seasons as a Man United player and scored 42 goals in 124 appearances for the Red Devils. Fulham was van Nistelrooy’s favorite opponent, as the Dutchman scored 10 goals on 10 games against the Cottagers. He has scored more only against Newcastle – 11. Ruud scored arguably the best goal in his career against Fulham on Old Trafford in March 2003. He took the ball in midfield and dribbled past 5 defenders, before finishing it low right in fine fashion. Van Nistelrooy scored a hat-trick that day. He won the game 3-0 for Manchester United and sent them on the top of the table for the first time in the year. United went on to win the Premier League, which was the only one he has won during his time in England. As an interesting fact, there was another Dutchman who had his Old Trafford debut against Fulham. Robin van Persie also scored two goals on his first home game for Man United. The opponents and the result were the same, as United beat Fulham 3-2 in that game. Van Persie won the Premier League in 2012/13, which turned out the be Sir Alex Ferguson’s last season as Manchester United manager. Van Nistelrooy has also won the FA and the League cup with the Red Devils, in 2004 and 2006 respectively. On individual record, Ruud has won the Premier League Golden Boot in the 2002/03 season. He has been voted as Player of the Season as well. “Van the Man” has been the UEFA Champions League top scorer for three seasons during his spell on Old Trafford in 2001/02, 2002/03 and 2004/05. He was also the top assist provider in the 2001/02 season, as Manchester United lost to Leverkusen on away goals in the semi-finals. The Dutchman’s time as a Red Devil came to an end after a conflict with Cristiano Ronaldo in 2006. He moved to Real Madrid for a fee of €14 million.